Slot machines come in many shapes, sizes and varieties – from the classic reel slots to the themed video slots. Although the basic concepts behind playing slots remain the same whether you are using video slots or reel machines, there are important differences between the two. Each variation has something different to offer, and the one you choose to play will depend on your own personal preference. Before getting started, browse through this handy guide to the difference between reel and video slots. Slot machines have come a long way since their invention in the late 19th century. Today, video slots are immensely popular among people of all abilities because there are so many variations from which to choose. The advent of video slot machines had an enormous impact on the casino industry, as they changed how slots were played and paved the way for coinless video slots, which eventually made playing slots online possible. The modern-day video slot machine was created by Walt Fraley in 1975. Dubbed Fortune Coin, the game was initially met with skepticism. It wasn’t until video poker became popular in the 1980s that video slots gained prominence. As technology advanced in the ensuing decades, video slots evolved. Today, variations of live and online video slot machines have everything from animated symbols and hi-res videos that introduce a storyline to the slot’s theme, to bonus games and more. These factors, among others, have helped make video slots some of the most popular games played in online casinos. Although video slots differ from more traditional gaming machines in many ways, the setup is often similar: An internal random number generator chooses a number sequence that corresponds to certain symbol combinations, while the game emulates the spinning reels and payout based on which symbols stop on certain paylines. With exciting themes and dynamic graphics, however, you’ll never confuse video slots for their reel-based counterparts. Most slot players will tell you that in order to get the largest payout possible, you need to bet maximum coins. This is because placing the machine’s maximum bet is often the only way to be eligible to win the jackpot. However, unlike reel spinning machines, which generally have a smaller maximum number of bets that you can place, video slots with multiple paylines can have max bets that go up into the hundreds of coins. The payback incentive to bet the maximum amount of coins when playing video slots is not that great. In fact, the payback percentage for most video slots is the same, regardless of how many coins you bet. In addition, many video slots accept lower denominations of coins than reel spinning machines – sometimes nickels or even pennies. Reels - Three- and five-reel slot machines are most common. Rows - The number of rows of symbols that are visible when the reels stop spinning will vary between machines. Depending on the game, these rows may represent extra paylines or simply show you how narrowly you missed a payout. Paylines - Video slots offer innumerable paylines for players. Beyond the traditional horizontal line, video slot machines may also offer paylines in the form of a V, upside-down V, zig zags or even scatter pays. Video slots can have dozens of paylines, and it may be in your best interest to bet on them all. 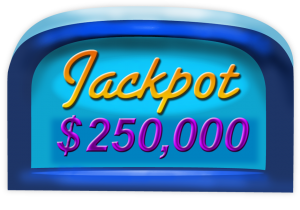 Progressive Jackpot - If a video slot machine has a progressive jackpot, this means that the value of the jackpot increases a small amount after each game. When playing on a video slot machine with a progressive jackpot, you have an incentive to bet the maximum amount of coins. This is because most video slots require you to bet maximum coins in order to be eligible for the jackpot. Random number generators mean each spin is independent from the one before. When choosing between video slots and reel slots, there are a number of things to consider. The steps required to play video slots and reel slots are essentially the same – place your bet, activate paylines and click spin or pull the lever. The random number generator then does the rest of the work, determining if you will get a payout and how much. In both video slots and reel slots, the use of an RNG means that the outcome of each game is completely random and independent of previous results. In other words, whether you did well or poorly on a previous spin (or the fact that a machine has not payed out in a while) has no impact on your next spin and whether or not you will win. There is no relation between one spin and another. The maximum bet for reel slots and video slots often varies considerably. While on a reel machine the maximum number of bets may be limited, this is not the case with video slot machines. Reel slot machines do not offer bonus events or scatter pays, while video slots do. Reel slots machines usually have three or five reels. Although it is widely believed that three-reel slots have better odds than five-reel slots, they are generally weighted so this is not the case. In fact, the odds of winning when playing three-reel slots and five-reel slots are essentially the same.